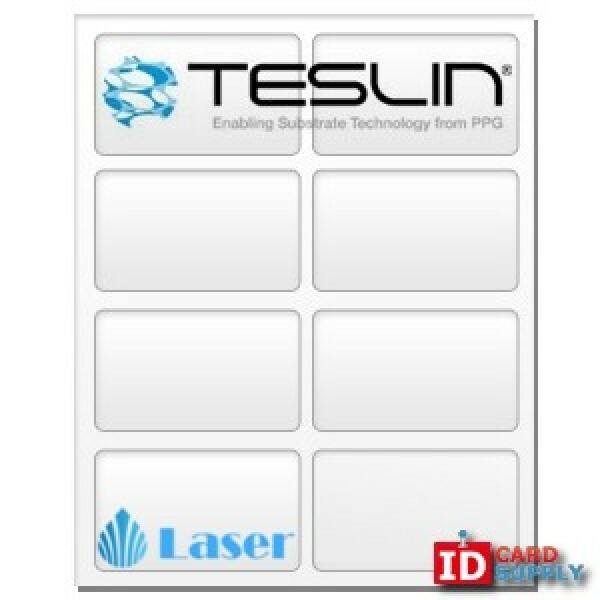 Featuring the Teslin® synthetic paper for laser printers that is micro-perforated with 8-up 10 mil ID card inserts from ID Card Supply. 8-Up paper is the fastest way to create a large number of IDs at once. Each ID insert tears out cleanly, eliminating the need for scissors and cutting down on the time it takes to make ID cards.